It has a great range of buns. The char siew paus are among the must try. 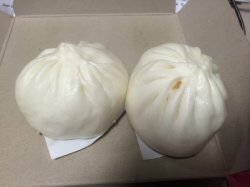 They are fresh steamed baozi, which are being placed in steamer trays in front of the shop. It's located near Mountbatten MRT station. 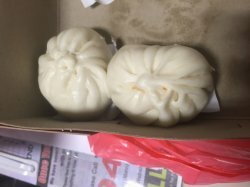 I gave my administrative assistant a box of those paus this afternoon from the pretty famous Tanjong Rhu Pau shop because today is salary crediting day. 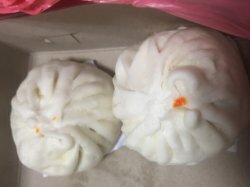 I haven't had a great Char Siew Pau for a long time and this Char Siew Pau really hit the spot for me because the Char Siew filling is already one of the best ones around.